Calls are answered or returned immediately. 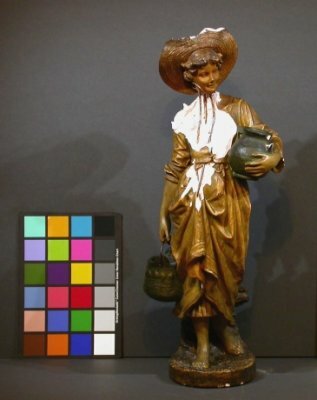 If there is any delay, we may have a technology issue so please try again and speak directly to the principal conservator, Chris J. Kenney or email us. Please contact us about shipping your art to our facility. We recommend using ULINE art shipping boxes. Because of their "algorithms" Yelp is not a reliable indicator of client satisfaction. They don't publish reviews unless one has a history of posting reviews. Click the link below to see more reviews that Yelp did not publish in their main section. 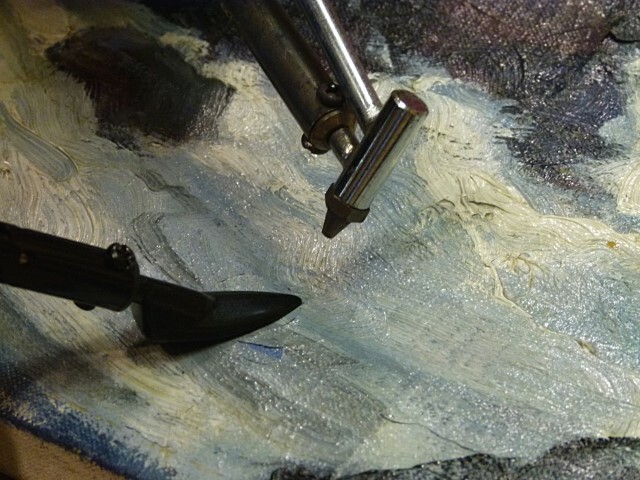 If you have Art on Paper, follow this link for a referral to a Paper Conservator in your area. 19th century copy of Saint Elizabeth and the Lepers from the original Triptych of St. Sebastian by Hans Holbein the Elder in 1516. Ferdinand Burgdorff (1881 - 1975) was a noted Monterey artist. Sometimes we are called upon to correct previous inexpert restorations from the past. In this case, the painting had a tear repair over an earlier restoration where a portion of the sky was over painted. 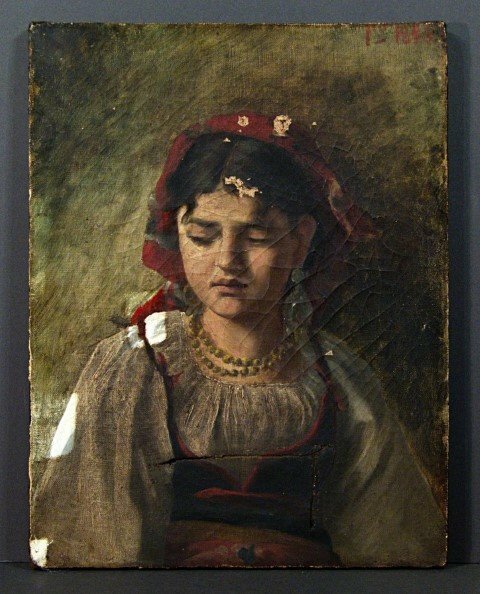 Here we removed the over painting and the patch and revealed the artist's original painting with a less intrusive tear repair an inpainting. 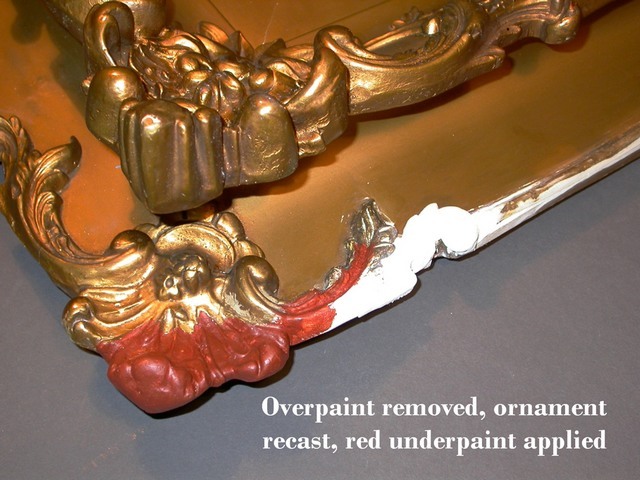 Surface dirt, discolored varnish and overpaint removal. Schedule an evaluation on weekdays or weekends that fits your schedule. Santa Cruz is an exceptionally beautiful place to visit for your appointment. Call for a free phone consultation. We answer the phone or return calls immediately! Email us a photo from your cell phone to accelerate the process which helps us perform preliminary research to assist you better. House Calls can be scheduled to evaluate your art collection on-site or we can connect you with a preferred art transport service or advise you on safe shipping to our facility. Security: We protect out clients possessions at the studio/lab with a 24 hour security system and video monitoring. Our facility is temperature and humidity controlled. 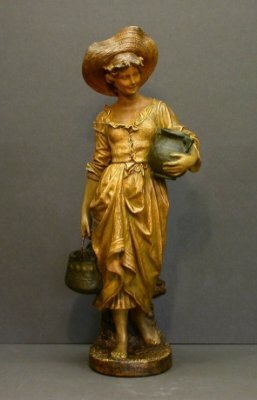 We treat artworks with cultural, historical and monetary value for museums, institutions and collectors. 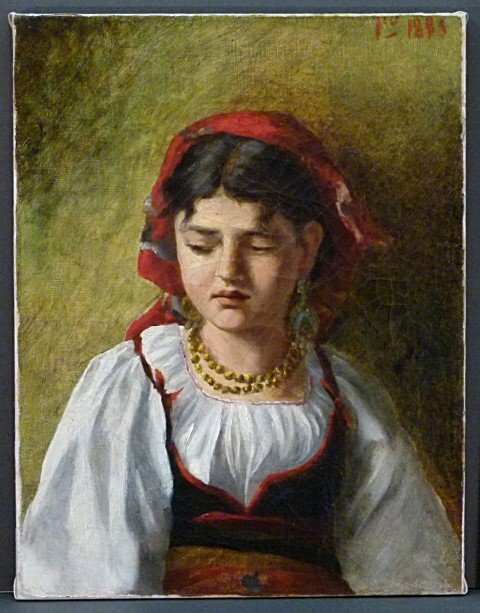 We also work on artworks with mostly sentimental value which are priceless and irreplaceable to our private clients and therefore to us. 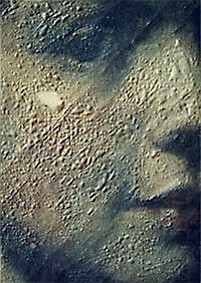 Surface dirt, a discolored varnish, tears and holes are the most typical problems with old oil paintings. 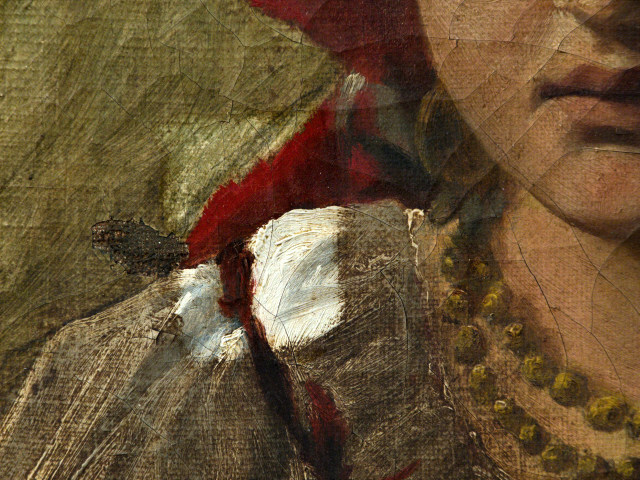 Here one can see small "windows" where we tested different cleaning strategies to reveal the artist's original paint layer. Note the brilliant whites and saturated reds. An 11 inch L shaped tear is visible in the vest with masking tape applied on the verso as a temporary repair. This will be filled, textured, and retouched to match the existing colors. After "lining" the damaged painting to a new Belgian linen canvas, the cleaned and repaired artwork is varnished and ready for framing in a period piece frame. 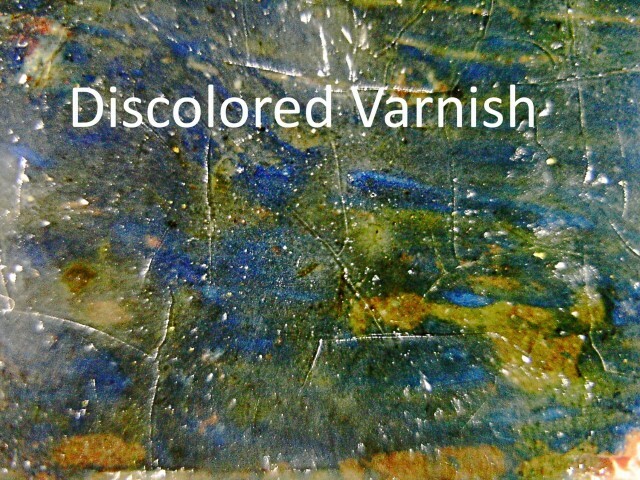 A high magnification view of the painting surface showing the distinctive yellow discoloration from an oxidized natural resin varnish applied by the artist. 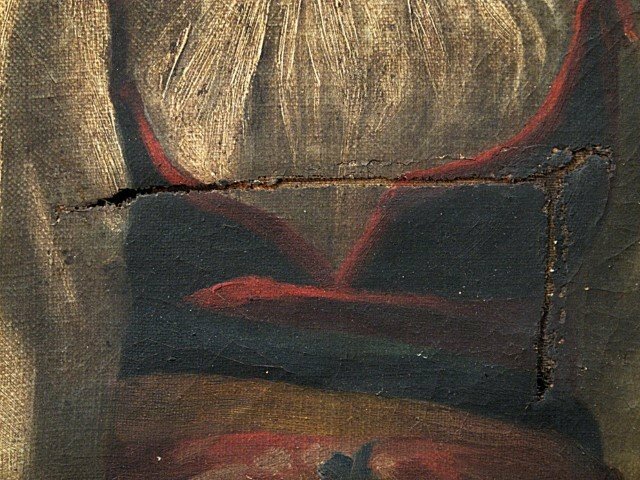 This is a detail from a painting belonging to the Monterey Museum of Art. 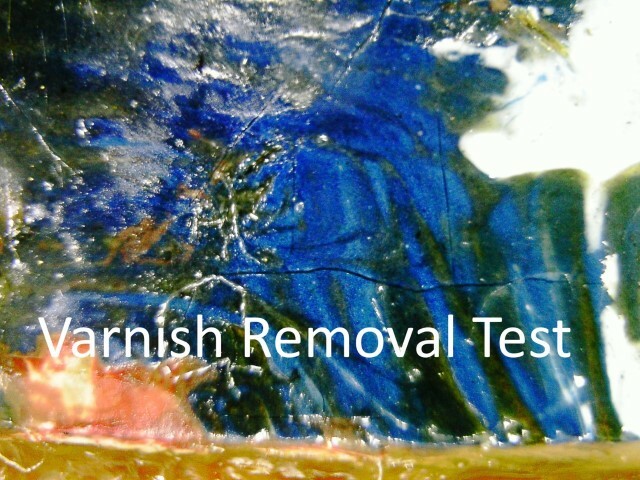 Removing the varnish layer in the test area shows the brilliant ultra marine blue pigment and the brush strokes. We want to reveal what the artist originally intended. The diagnosis is critically important before recommending treatment options. 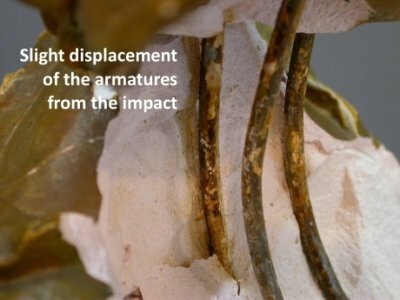 There are many causes of flaking paint including environmental conditions, inherent instability, and additives used by the artist. If your painting is flaking or turning to powder, call us immediately. 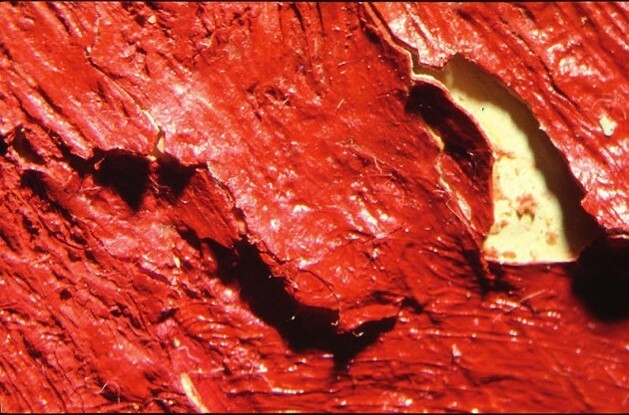 The flaking paint is injected with a suitable adhesive, warmed with heated air, and reattached with a heated teflon spatula. 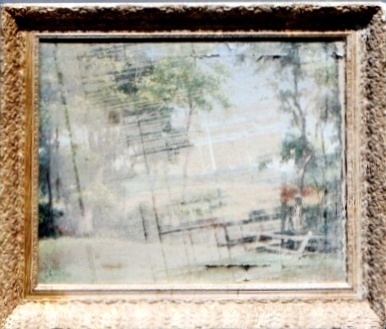 The painting is further protected with silicone release paper during treatment not shown here. 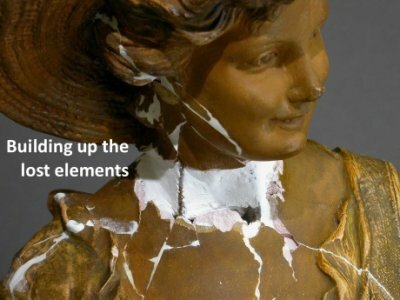 It is important to contact a conservator immediately after a disaster to stabilize your artworks and collectibles which will help prevent further damage from occurring. Disaster mitigators can help move your posses ions to a safe place but experts are required to work on your valuables. Contact us before you allow the disaster mitigators to move your valuables. Only qualified conservators should treat your valuables. 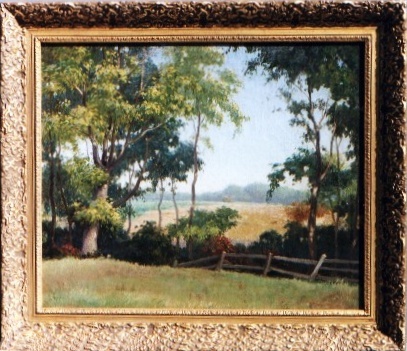 This landscape painting and frame was water damaged after a mud slide in Carmel, California, leaving mud across the surface and in the crevices of the frame. Old frames become brittle when conditions are dry or very humid. 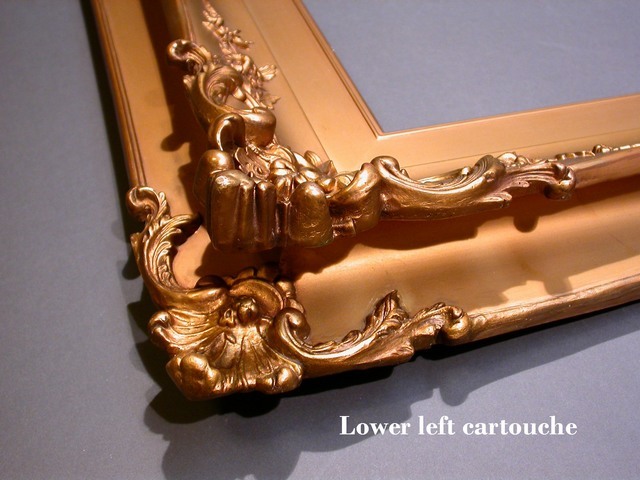 Cracks in old frames are typical but, when ornamentation is lost or broken, we must replace them. 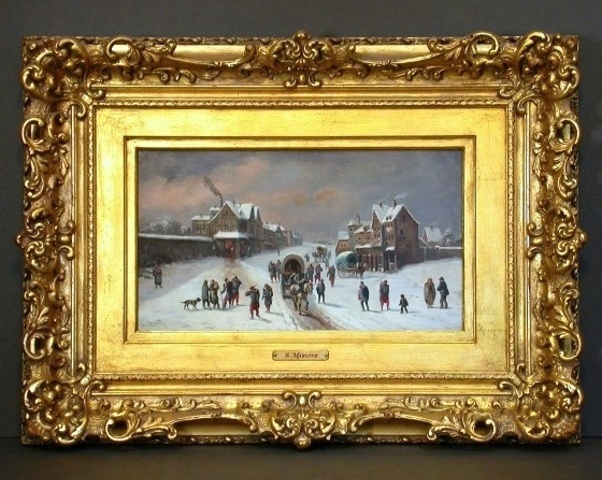 The above frame was also painted gold which oxidized and turned an unsightly brown. 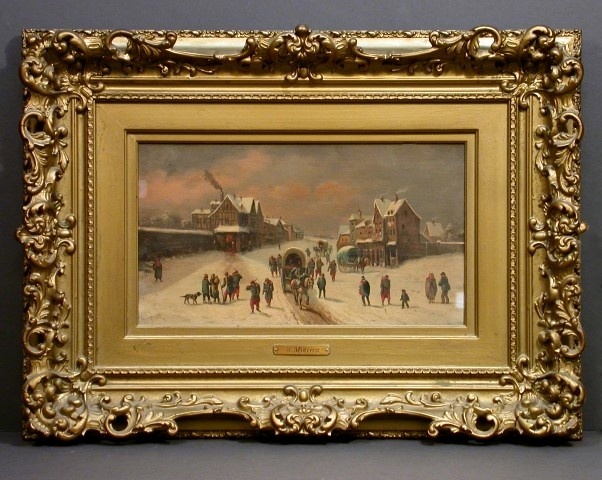 Often, frames are painted by an owner or ebay seller to make them appear cleaner. This is never a good idea. After stripping down to its bare bones, the above frame was gilded, shellacked and a patina was applied to create the look and feel of antiquity. 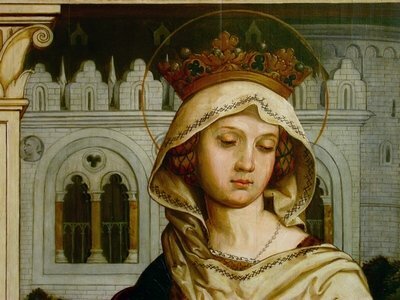 © MÖBIUS: art conservation inc.
We serve a large area of central California from Paso Robles to San Francisco and east to Livermore including Los Gatos-Saratoga and the greater San Jose area including Sunnyvale, Santa Clara and Mountain View. Many of our clients come from Los Altos and Palo Alto, Menlo Park, Woodside and Atherton. To the south, we serve Monterey, Salinas, Watsonville, Carmel and Carmel Valley. Many clients come from Oakland and Berkeley and Pleasanton.